Like Mr. 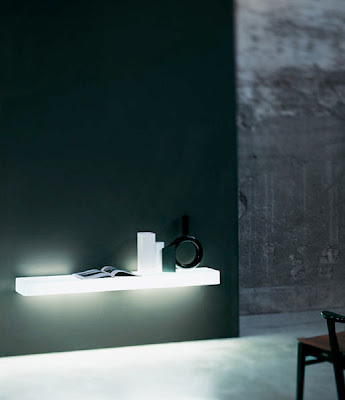 Impossible, the small armchair is formed of two laser welded polycarbonate shells. Kartell engineers told Philippe Starck it was nearly impossible to produce due to the technical nature of the manufacturing process; hence explaining the chair's name. But Philippe Starck persisted; mission accomplished! 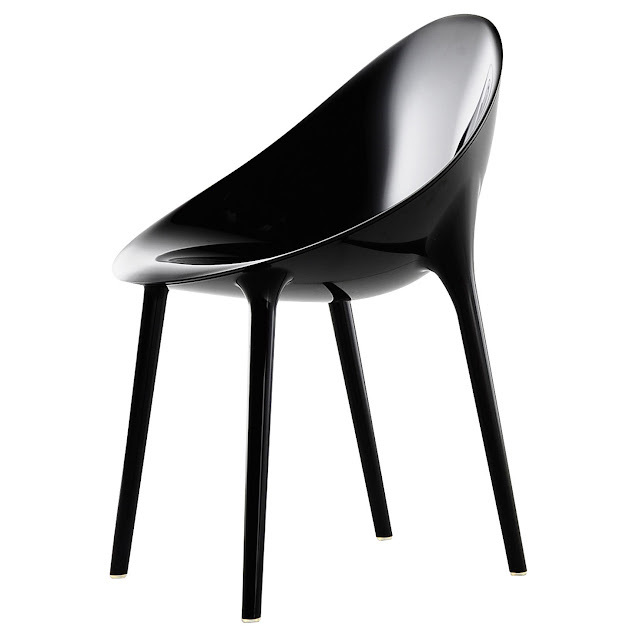 Kartell Super Impossible Chair Black with Black Seat. 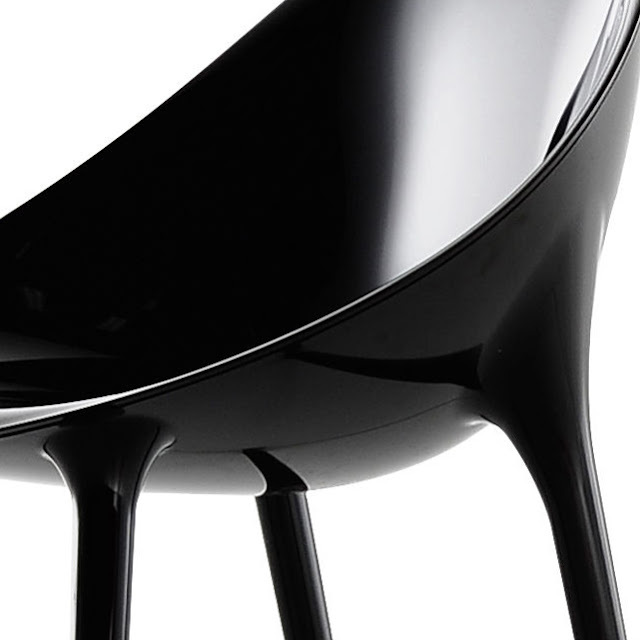 We love the sleek minimalist all-black color of this Super Impossible Chair. 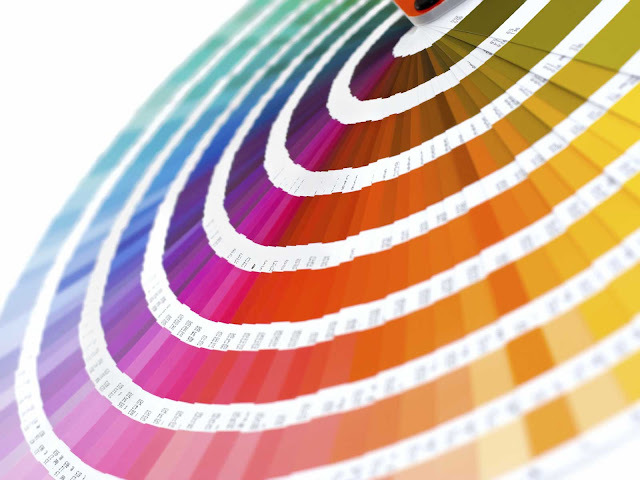 Made in Italy by Kartell, Super Impossible chairs are hi-tech, trendy with an exclusive Italian design appeal. A most inviting chair with an organic design that inspires comfort, neatness and style. 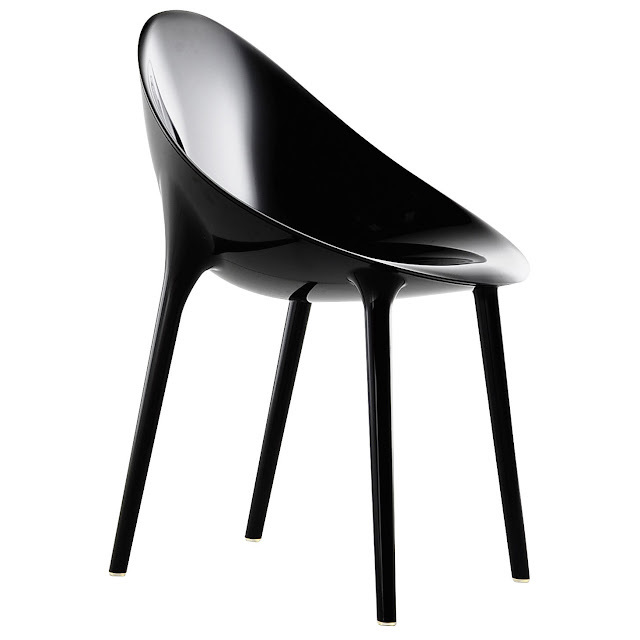 The Super Impossible chair was designed by Philippe Starck and Eugine Quitllet for Kartell in Italy. Super Impossible is a beautiful modern design chair with a futuristic seat, Mr. Impossible, the original chair from Philippe Starck, is transformed by its surprising new shiny look to Super Impossible. The new solid color finish gives Kartell's Super Impossible Chair a glossy, sensual and striking look.